Check the Spirit Square Market on Saturdays for some liquid gold! Alberni Valley Gleaning Project is selling apple juice from some of the fruit gathered through the harvest season. Apples are all naturally grown in Port Alberni. There are no additives to our juice. The box fits nicely in the fridge with an easy to use tap. 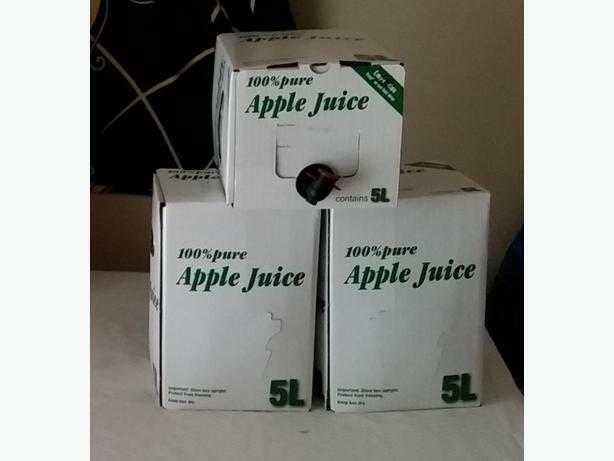 The boxed apple juice is good for 6 months at room temperature. Once opened if refrigerated it is good for up to 3 months. There are a ton of recipes for hot apple cider and this would make a splendid base for a crock of hot cider to warm a chilly fall evening. We might all want to be thinking ahead to next year and looking after tree maintenance so that we’ll be able to support Gleaning Project next year, or just have our own fruit to bring to press. Pruning and general cleanup makes for better crops from one year to the next. Also marking the calendar so that we remember to get the Gleaning Project out to our places at harvest will ensure that the fruit is as fully used as possible. Watch this spot, the Gleaning Project Website. and social media for updates and information on how to proceed.